Published in Clinical Physiology and Functional Imaging, 07 August 2017. The New Zealand pilot study on 2-day CPET is not the first to examine CPET results in ME/CFS, however it is the first to compare responses with MS (multiple sclerosis) patients. The fact that similar studies have been carried out before, strengthens the emerging picture, providing good physiological evidence for what has become known as the characteristic post-exertional malaise (PEM). MS patients performed worse on both days compared to M.E. patients and controls. However, they were able to reproduce the same results on day two, whereas M.E. patients performed considerably worse on the second day. This demonstrates the effects that PEM has on a M.E. patient’s ability to exercise and separates M.E. from MS patients, whose symptoms may actually improve, following exercise. 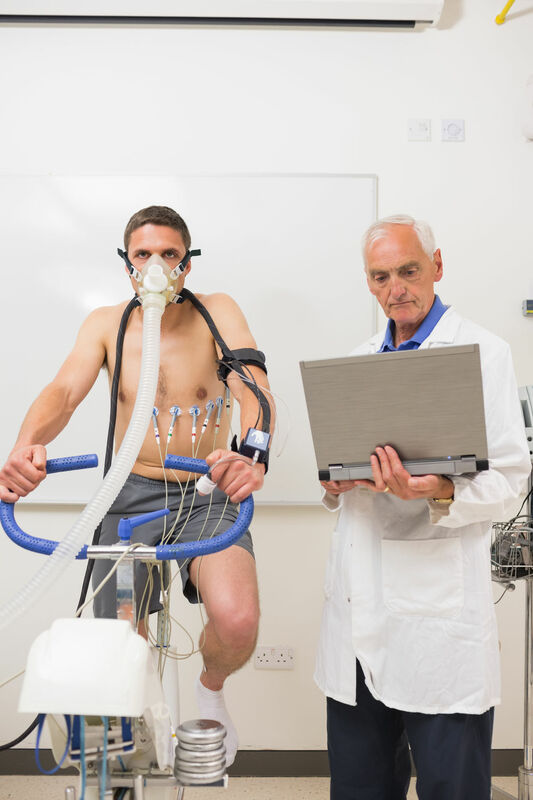 The Two-day CPET generally involves two identical exercise tests, 24 hours apart, the collection of gas exchange and heart rate data and the use of a bicycle to measure work output. This test has been used many times over the years (vanNess et al. (2003), Snell et al. (2013), Keller et al. (2014)) to objectively document post-exertional malaise (PEM) in ME/CFS and has been suggested as a diagnostic marker. General findings from these tests show that M.E. patients perform adequately/well on the first day of testing but have reduced cardiopulmonary function on the second day and fail to reproduce their performance from the first day. There have also been many one-day CPET’s carried out on M.E. patients, however results from a single test can be misinterpreted as deconditioning and can lead to inappropriate (and often harmful) exercise prescriptions. The main benefit of the data taken in these tests is that they are measurable and objective, not self-reported, and so they cannot be ‘faked’ and the results cannot be deemed as being due to a “lack of effort” from the participants. ME Association ‘ME/CFS An exploration of the key clinical issues (2017)‘, available from our online shop. The purpose of the study was to compare physiological responses in M.E., MS and controls to a 24 hour repeated CPET test and to determine any differences in the fatigue processes between MS and M.E. patients. The researchers also wanted to help develop an understanding of why M.E. patients experience worsening symptoms following exercise and find a way of defining and calculating PEM. The study was a pilot study, meaning it was a small trial to “test the waters”, with ten ME/CFS patients, seven MS patients and seventeen controls. The overall study design was very good. The researchers were very thorough in recruiting M.E. participants – who had to meet all three criteria – Fukuda, Canadian and International – as well as DePaul Symptom and SF-36 (physical function) screening questionnaires. Participants were excluded if they had any other health conditions or medication that may have affected the results. Also, the controls were well matched in terms of age and gender. Participants were told to avoid food, smoking, caffeine and exercise for appropriate time periods before testing began and were also given a 5-minute rest period before any pre-test measurements were taken. ⇒ Although each group had controls that were aged-matched, there was an age difference of nearly 20 years, on average, between the M.E. and MS patients, making direct comparison between these groups difficult. This could explain why the MS group had a lower performance in general, as their average age was higher. ⇒ Also, the average BMI of the participants placed them as “overweight” and after being categorized into fitness levels, 70% of them were classed as “poor”, which could have influenced the results. However, as this was the average of all of the participants, not just one patient group, it shouldn’t have had a great impact on the results. Each participant completed an incremental (getting gradually harder) cycle test on day one and again 24 hours later. 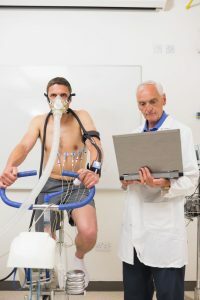 The researchers measured the participants heart rate, blood pressure, rating of perceived exertion (RPE), VO2 max, carbon dioxide production and workload. VO2 max = maximal oxygen uptake. It is a measure of the maximum volume of oxygen a person consumes during exercise. As you increase your effort as you exercise, the amount of oxygen you consume increases, however, this eventually reaches a plateau where increasing exercise no longer increases consumption. VO2 can reflect the aerobic physical fitness of an individual and can be used to compare performance capability. Anaerobic threshold (AT) = The physiological point during exercise at which lactic acid (the chemical that causes aching muscles) starts to accumulate in the muscles faster than it can be cleared away. Generally, people who are less fit have a lower AT than say, endurance athletes. RER = Respiratory exchange ratio is the ratio between the amount of carbon dioxide produced and oxygen used. This ratio increases as you exercise as more oxygen is used. An RER of 1.15 or more is often used as a secondary endpoint to VO2 max. RER can be used as a measure of fitness status under low exercise intensity. On the first day of the test, there was no significant difference between M.E. patients and the healthy controls, showing that they were of similar fitness levels. 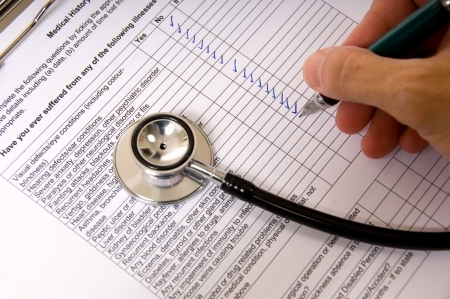 MS patients were found to be considerably less fit than the controls and the M.E. patients on the first test. But on the second day of testing, both the controls and the MS patients were able to reproduce their performance from day one, whereas M.E. patients were unable to achieve their day one results – they reached their anaerobic threshold faster and at a lower workload. An objectively determined maximal exertion was reached, with RER showing exhaustion of aerobic energy production. This shows that the reduction in workload on day two – as demonstrated by the M.E. patients – cannot be due to “slacking off” or deconditioning. ⇒ Interestingly, M.E. patients also showed a decrease in heart rate on the second day of testing. The paper therefore suggests that the cardiovascular system of those with M.E. may be compromised, which warrants further exploration of the role of cardiac output during exercise. 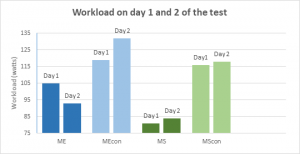 The main difference between the two conditions was that MS patients were able to achieve or even increase workload on the second day of testing, whereas M.E. patients could not. This supports other studies that have found that exercise improves fatigue in MS patients (Pertruzzello and Motl, 2011, Pilutti et al. 2013). But is in contrast to the evidence for M.E. patients, with the researchers commenting, “This study provides caution for the use of exercise treatment of CFS/ME”. The paper also highlights that PEM symptoms persisted for up to 2-4 weeks following repeated exercise tests in M.E. patients and so future studies should look at longer studies (48 to 72 hours), which is what the New Zealand group are currently working on. 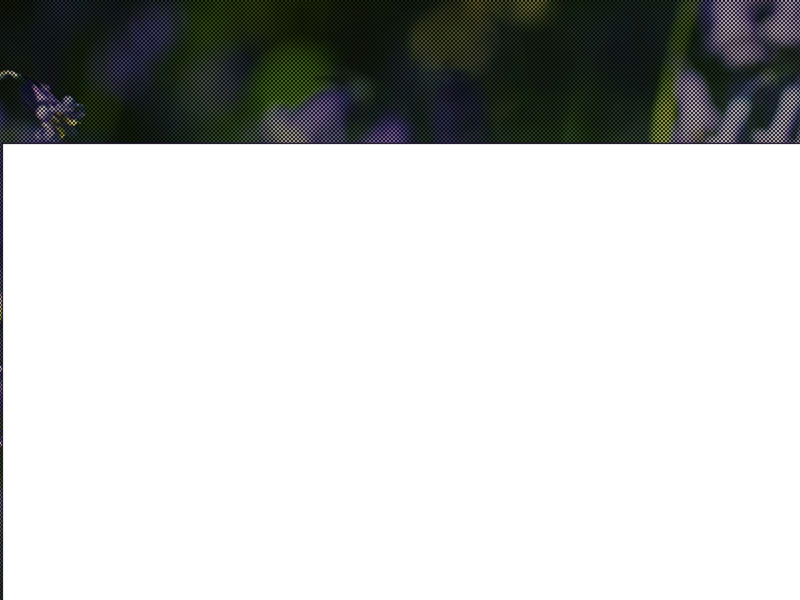 ⇒ Carrying out large CPET studies may be challenging as they are expensive and also it may be hard to find enough willing volunteers as the test itself is very hard and can take a while to recover from. ⇒ Future studies should also look further into the physiological reasons behind these responses – why are they occurring? – including cardiac testing, lactic acid responses and mitochondrial functioning during exercise. Dr Hodges is already working on another trial, looking at physiological differences in repeated exercise tests at 48 hours and 72 hours. It would be useful to see 2-day CPET tests like this one in the UK to provide more evidence for its use as a diagnostic marker to distinguish M.E. from other fatigue-related conditions. Furthermore, such a study might interest specialists in the cardiac field to research the physiological workings of M.E. that may underlie post-exertional malaise. Image copyrights: 1. wavebreakmediamicro/123RF Stock Photo, 2. wavebreakmediamicro/123RF Stock Photo, 3. flippo/123RF Stock Photo.